Your health insurance plan protects you from the unexpected; when you get sick or have to go to the hospital. You pay a monthly bill, a premium, for the health plan and the insurance company pays part of the cost for covered medical services. 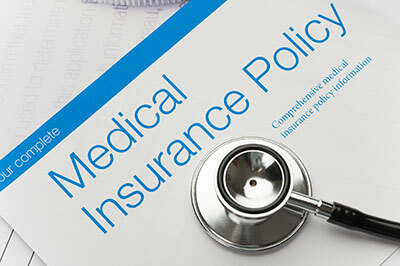 Your insurance company offers a preferred list of doctors, hospitals and other health care providers. Choosing a provider within the network should result in less out-of-pocket expenses for you. A flat fee (e.g., $15) you pay for covered health services, such as a x-ray. The dollar amount you must pay each calendar year before insurance begins to pay for certain health services. You pay the plan deductible first then coinsurance (%) may apply. The percentage (%) you may pay for services after you meet the plan deductible. It's also known as "cost sharing." The most you pay for covered health care services during your plan's calendar year. All of your covered expenses go toward this maximum. Once you reach the maximum, your health care plan pays 100% toward covered services and you don't pay anything. The regularly scheduled amount of money you must pay each month to keep your insurance active. Still have questions about how insurance works? This information is for illustrative purposes only and is being provided to help increase understanding of the impacts of some of the provisions of the Affordable Care Act (ACA). It does not attempt to cover all of the law's provisions and is not intended as tax or legal advice. We encourage members to seek professional advice including legal counsel, regarding how the new requirements may affect you.